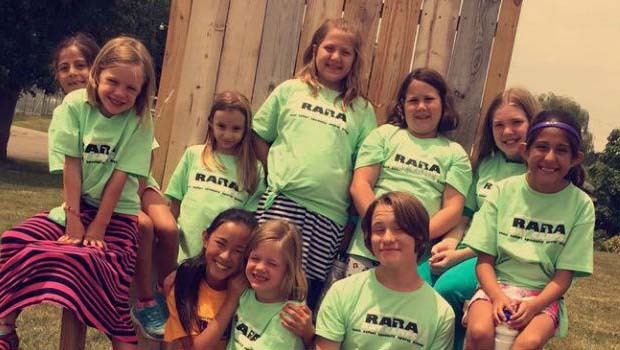 RARA Rochester Summer Camps 2019 – RARA (Rochester Avon Recreation Authority) offers several summer day camp programs and themed summer camps for kids ages 4-14. Many RARA Rochester summer camps travel with camp field trips and offer unique experiences for kids. RARA Rochester Summer Camps even offers Latchkey and Before / After care programs for additional fees. RARA has been the community recreation provider to the communities of Rochester, Rochester Hills and the surrounding communities since 1946. Whether you are at Spencer Park or on a field trip, you’ll have a great time! Some activities will include sports, swimming challenging activities, and much more. Campers will go on one field trip per week! Daily activities will be posted in a weekly newsletter handed out on Monday morning. Camp T-shirts are provided on field trip day. 2 field trips per week! Some of the trips might include fishing, wave pools and adventure centers. Other activities will include sports, swimming, challenging activities, and much more. Daily activities will be posted in a weekly newsletter handout on Monday mornings. Camp T-shirts are provided on field trip days. This camp brings out the creativity in your camper. Kids will spend the week making tons of different “art”ragious craft projects. Something for everyone. Be prepared to get messy and have lots of fun! Science, Technology, Engineering and Mathematics. Inaugural year as RARA introduces camps designed to light the fire of imagination with your child in our brand-new introduction to STEM Camp series for 2018. ach day campers will work on popular projects that will peak your child’s interest and curiosity. Hands on activities. No book work, but team work. Participation and fun are part of the program designed as step one in your child’s road to the future of STEM. All week our campers will be creating their own masterpieces and learning while doing it all week. Take a trip during the week to visit the DIA to help inspire the mind! An introductory week of nothing but PAINTING! A variety of paint will be used and presented for the campers education. Good clothes not recommended for this camp. For those kids that love a challenge. Partner up with a camp friend or two and try to be the winning team. The week will be composed of different games, obstacles, and road blocks. By the end of the week, there will be a winning team. Be ready to run, think and get dirty! Campers, your mission, should you choose to accept it, is to have FUN! This week will be filled with exciting challenges, games, special missions, and surprise activities. RARA is going to be traveling to some of the Detroit Area’s finest Architecture! If it was built in this area and it was unique or Grand for it’s design, we will try to visit it in this short one week adventure. Little Caesars Arena, the Fisher Building and Comerica Park will be some of the venues RARA will hit along with any historical homes kids can visit. Location – Bloomer Park Stone Shelter. Then get bussed to the various locations. Cool off from the summer heat and enjoy spending time with friends while exploring a different watering hole each day. Whether it’s a beach, wave pool or waterslide, everyday will be a new and fun adventure. Enjoy a wet and wild week of water games, pool time, and super soakin’ fun! Location – Starts at Bloomer Park. Then get bussed to the various locations. Campers will spend the week traveling to different locations that make great eats and cool treats. Then campers will come back to camp and learn to make their own goodies! Campers will have a fun week experimenting lots of food, but they will still need to pack a lunch! Campers will spend the week learning about different animals. Travel around to different locations to see demonstrations and learn new things about our furry friends! Be prepared to see lions and tigers and bears at the zoo to insects in the pond! Location – Starts at the Bloomer Park Stone Shelter. Then get bussed to the various locations. This fun-filled sports and fitness camp is filled with a variety of sports, fitness related games, activities and some exercises. Overall our counselors will engage the camper in games and fitness fun. Camp will be focused on movement, flexibility and being involved. The camp will utilize the RARA 480 Fitness Center and Fieldhouse, the tennis courts and swimming area at Spencer and Bloomer Park along with the weekly Wednesday trip that all of the camps go to. Each day will be filled with different sports. This action packed camp will teach your camper the basic sports skills in a fun, non-competitive atmosphere. Campers will be challenged in a series of drills, games, and exercises. Some sports will include, soccer, basketball, flag football, volleyball, and more! Visit rararecreation.org to learn more about RARA Rochester Summer Camps.